8 LEDs. 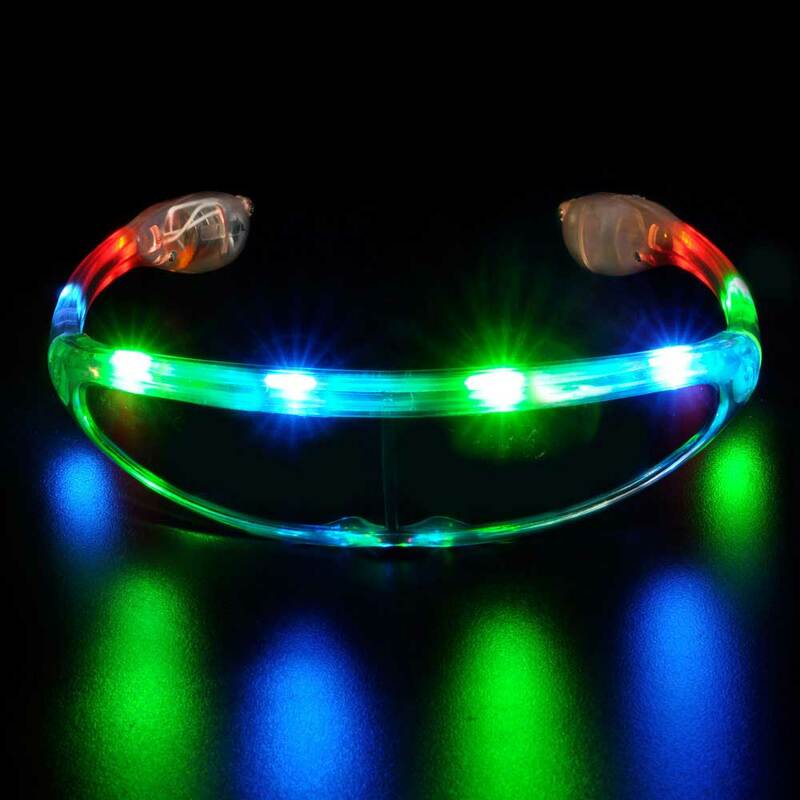 Top of the frame has 4 (2 blue and 2 green) with 2 LEDs on each arm (1 red and 1 blue). 3x LR44 / AG-13 replaceable button cell batteries provide many hours of run time. Replacement LR44 (AG-13) button cell batteries are available here for reorder. This is a wholesale listing for a case of 144 pair. 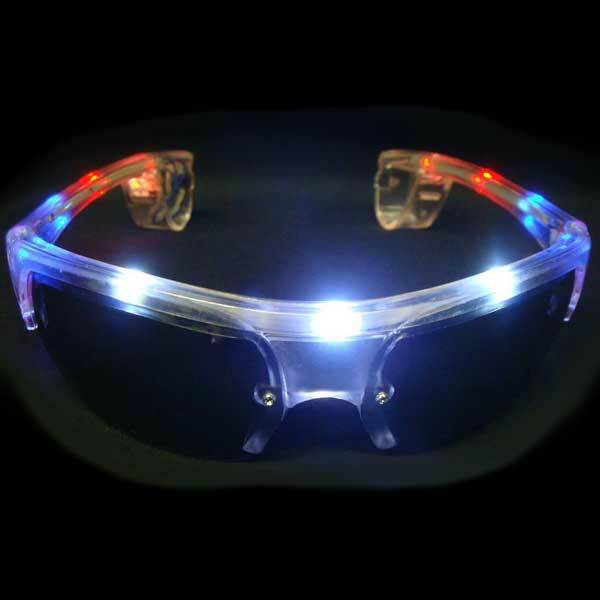 You've never seen LED sunglasses like these before! 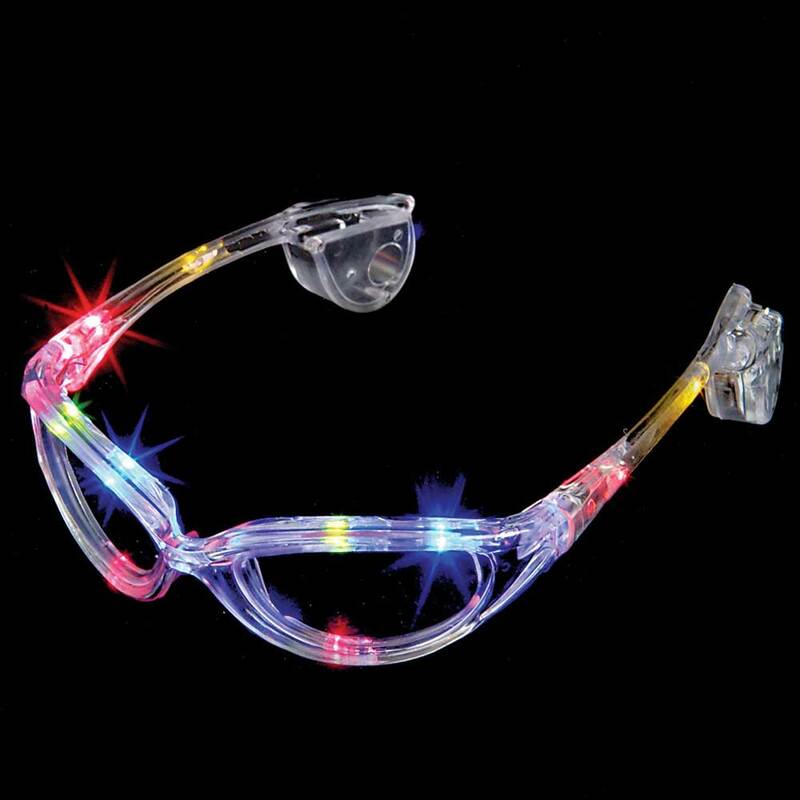 These spaceman-like frames feature 8 LED lights (4 blue and 4 green) and 4 LED lights at the temples. 3 modes: fast flash, slow flash, and solid on. You can change these modes using the switch near the battery compartment behind the right ear. One size fits most. 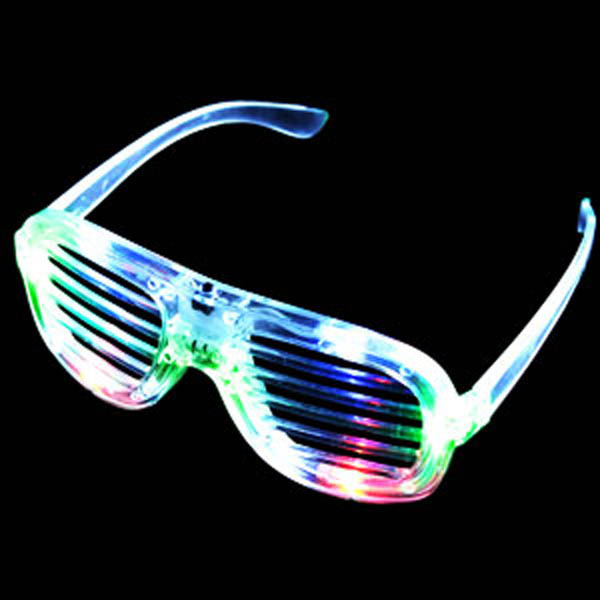 These shades feature a spaceman-like frame, where one solid lens covers both eyes. Made from sturdy clear plastic. Battery compartment and mode switch behind right ear. Batteries replaceable - requires a small Phillips screwdriver to replace.